The family of former South African leader Nelson Mandela is overwhelmed with support as the 94-year-old remains hospitalized in serious condition. 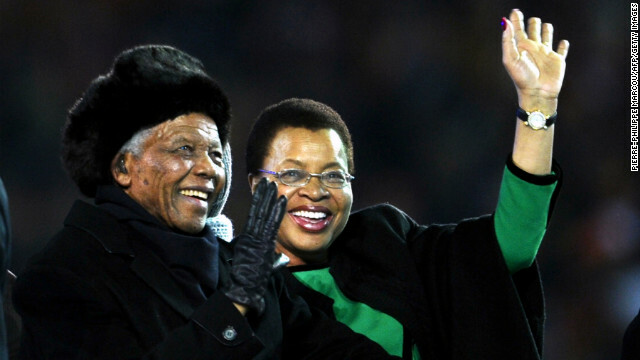 "So much love and generosity from South Africans, Africans across the continent, and thousands more from across the world, have come our way to lighten the burden of anxiety; bringing us love, comfort and hope," former first lady Graca Machel said in a statement Monday. Mandela has been in serious condition since he was rushed to a Pretoria hospital June 8 with a recurring lung infection. Sending good wishes and prayers their way. Sigh. Approximately 5 posts, and I'm blocked. Ridiculous.